Living in the East Texas Piney Woods area often comes at a price- termites!. We must be aware of and maintain a treatment plan for termites. 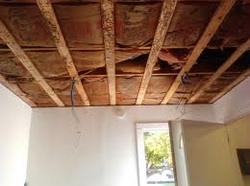 Onsite will fix damage left from termites, which is very common with older homes. We can also bring in a certified termite exterminator to find out if the colony is still active and provide a treatment.